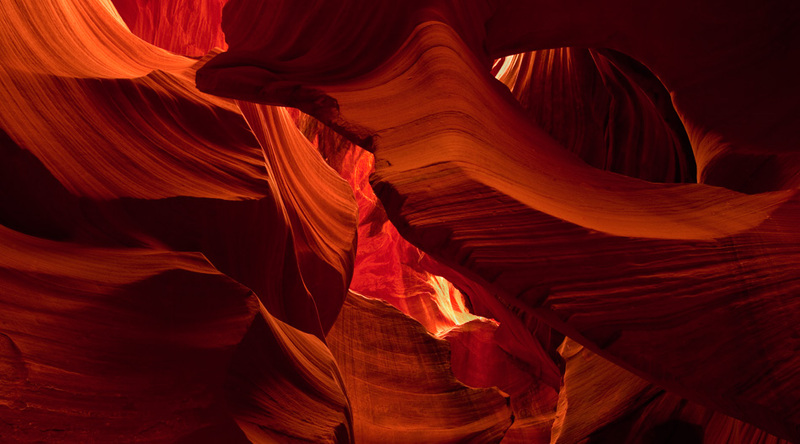 Called Hazdistazí, or “spiral rock arches” by the Navajo, Lower Antelope Canyon was formed through erosion by flash floods. Above is a view of the inside of the slot canyon. The water carves into the sandstone walls smoothing the rocks into beautiful flowing shapes and lines. This photo is available for sale as a digital download or as a print. See our products page for more info. Posted on Thursday, May 26th, 2011 at 1:57 pm. Filed under: Feature, Landscapes, Photo of the day	RSS 2.0 feed.